Giraffes are the tallest animal on the planet, and one of the most unusual looking ones! But did you know that there are four different species of giraffes? And do you know they use their tongues to each one of the thorniest trees in Africa? Maybe you did, but in recent years, giraffe populations have been decline fast! There are some threats to their survival, and scientists are trying to understand how they live, where they travel, and what we can to protect these special animals. Join James and his family to find out more about giraffe conservation and the ways scientists are studying them! James has a favorite animal - Giraffes! He was born in Tanzania, and his mother loved giraffes, too. Now he is going back to Tanzania to see his birthplace, and he is going to see giraffes in the wild! 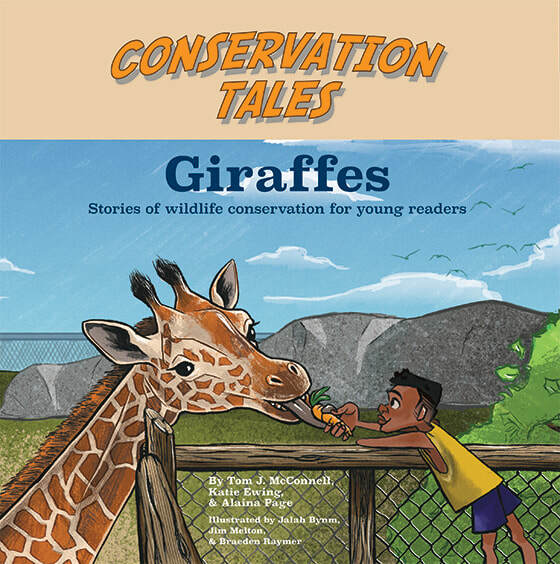 Come learn more about giraffes with James as he meets some giraffe researchers, learns how they study and protect these beautiful animals, and discovers that he can help protect them, too!